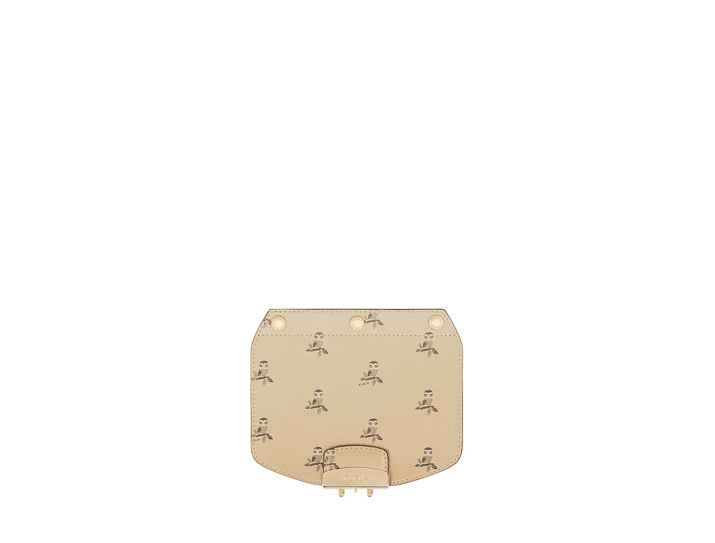 Fun and functional: The flap of the Furla Metropolis bag in textured leather sets your creativity free.The flap for the women's bag is enriched by the print depicting numerous owls.It can be applied onto the bag by means of snaps to customize your favourite body of the Furla Metropolis bag. The bag can be purchased separately to create your ideal look. The padlock of the iconic Furla Metropolis minibag in printed textured leather is decorative yet strongly recognizable.One practical open pocket is available on the inside of this women's bag. 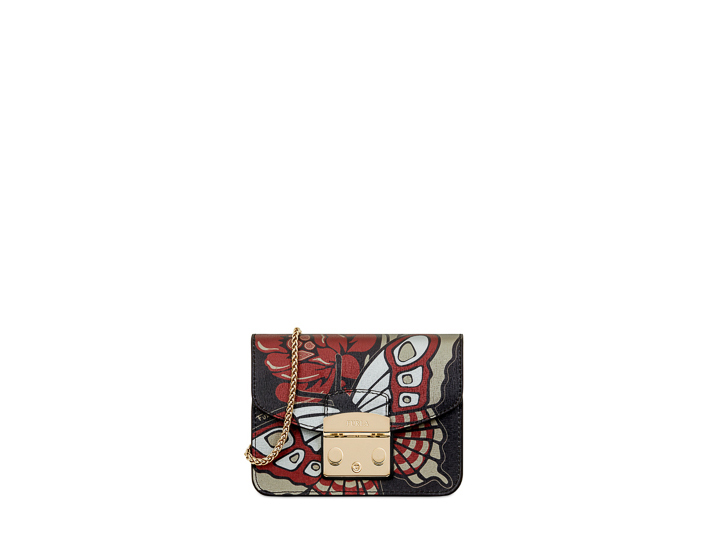 The silhouette of a butterfly distinguishes the external design.It can be carried as a crossbody bag or as a shoulder bag; thanks to its removable shoulder-strap in metal chain.